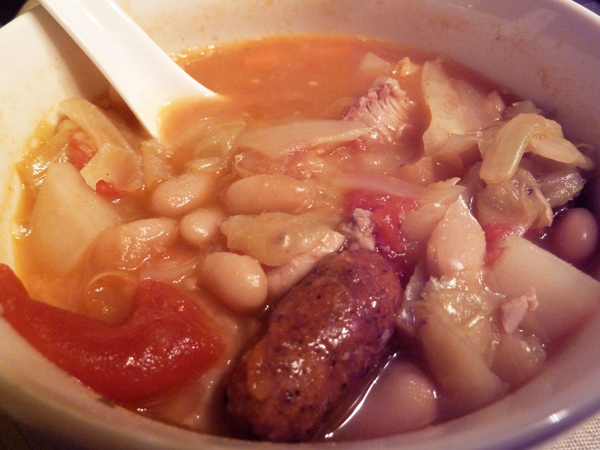 At the New Year's party, one of Sak's aunts made Portuguese bean soup that I totally fell in love with. Apparently it's not really a Portuguese dish though, more like a Portuguese dish that Hawaii took and made their own. 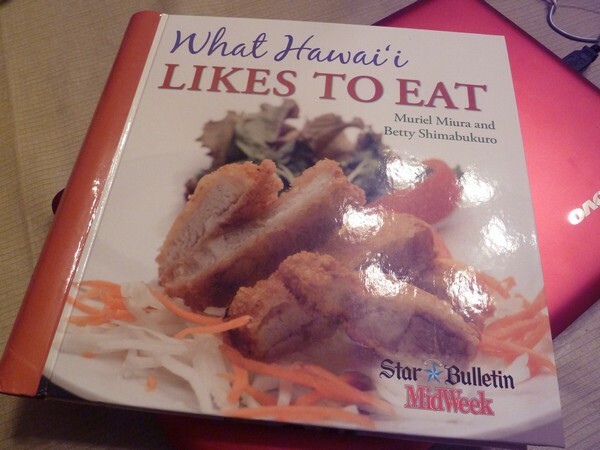 Which is always good, cause Hawaiian food rocks. 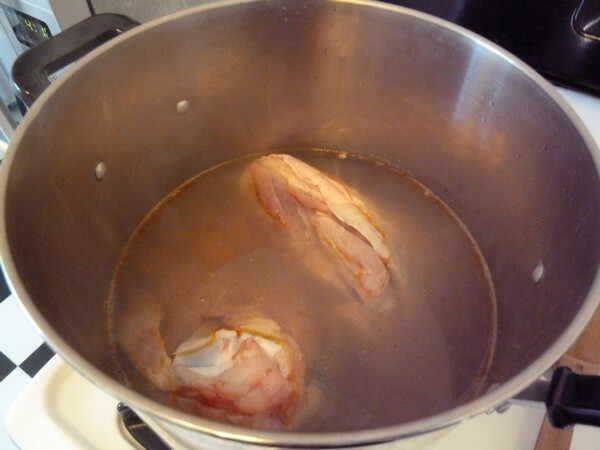 Anyway, I'd never worked with ham hocks before. They are kinda crazy. I dunked two of them in a stock pot along with my Portuguese sausage (aka linguica, or you can use chorizo) , covered them with water and cooked them on low for about two hours. 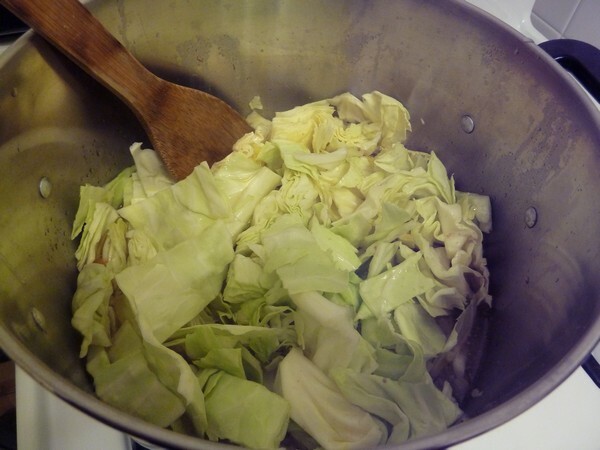 After the veggies are softish, check your water level. I took a couple cups of water since it looked a bit too watery. Make it the consistency you would like! Next add beans and tomato sauce. Not pictured was also a can of stewed tomatoes I threw in last minute as well. All done! Add salt and pepper to taste. 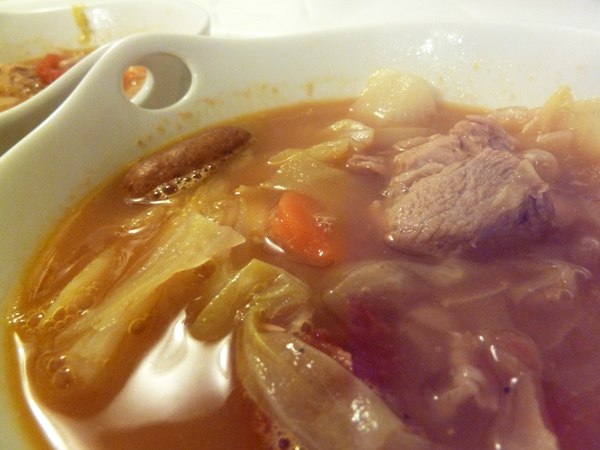 The ham hock meat is so delicious, and I love the cabbage and stewed tomatoes. 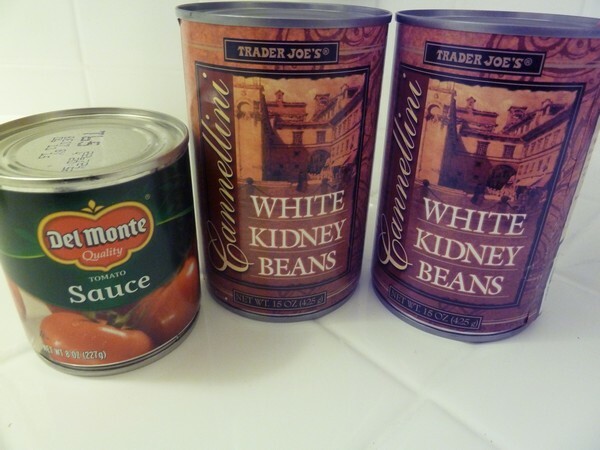 I think maybe it could've used a third can of kidney beans, but Sak disagrees since he's not a huge bean fan. It was even better the next day after everything soaked up nicely. Yum. 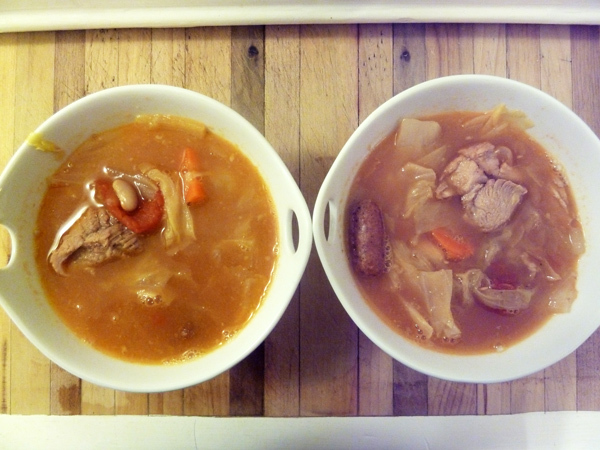 Soup is always the perfect freezing-cold-day solution! 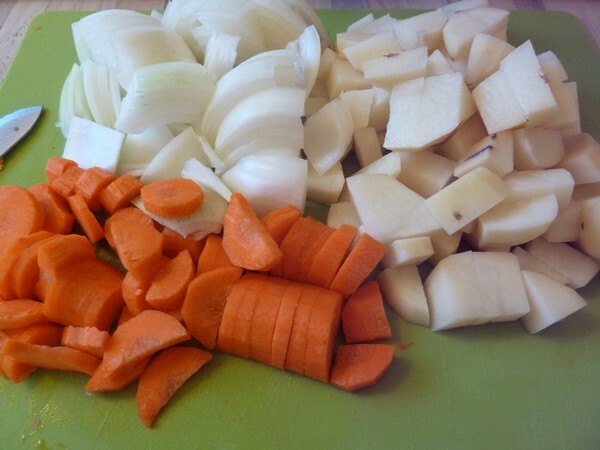 Soups are always better the next day. I've never cooked with hamhock and am probably too scared to try! wow that looks delicious! i haven't cooked with ham hock--i should just take the plunge.